Love stories don’t appeal me much for they seem too fake and mushy and presumptuous. Not this one though. 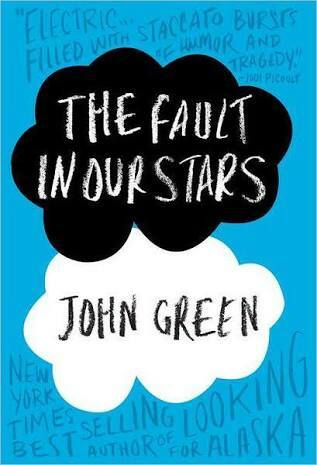 The author of The Fault in our Stars, John Green has taken the not so ordinary story to extraordinary heights. 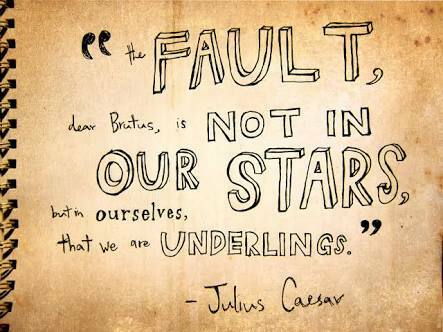 I particularly love Augustus Waters for his wit and coy behavior. He is everything that one wants to hold on to. He makes you laugh and leave you intrigued and challenge your understanding. 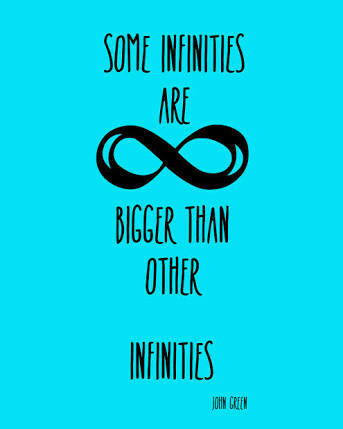 But then again you haven’t met Hazel Grace. She has the prowess of maturity like an adult. It’s not just Hazel but I too am dying to know what exactly happens to Anna’s mom in the book, An Imperial Affliction. If only ‘this world was a wish granting factory’ then the pauses and full stops would have been curated for. But sadly it’s not and we are stuck just in the moment no matter how far we go in planning and mapping our future. 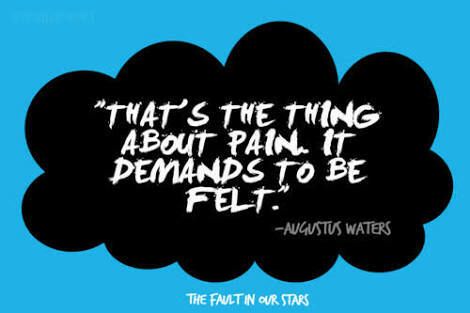 Author John Green has sculpted the characters very well. I zoned out many times laughing at the wit and crying to the bits. I lived the story. I am in no mood to watch the movie for I am far from ruining this etching from my very brain. I don’t know if any of his work turns out this good (I will find out soon) but this book is certainly on my ‘Eat, Read, Repeat’ list. I will leave you to feel the swell of love as in my heart. Good night! Today is a big day for you. You are beginning with your own startup. It is an indeed proud moment for all of us. You are 25 and doing what you are doing right now is just so noteworthy. I read it somewhere that sweat, tears and sea can cure anything. But when I say this remember not to sweat your issues out beyond the necessity instead sweat the fat out and be fit. Tears of joy are never remembered but those inflicted in pain never leave us. Let your tears be wasted only for the deserving one and not everyone who tries to hurt you or hold you down. And the sea my girl will become your good companion once you start listening to what it has to offer. Its vastness will start making the problems seem small very small and achievable too. There will be a lot of ups and downs in the path that you have chosen. Business is not a small thing since it involves not only you but your employees, your customers, your support structure and more. There would be times when you might feel the frustration and anguish. But when you start reaping benefits of your hard work then the whole mountain of issues and concerns will start looking like a mere stepping stone. Whatever happens, let the cord of honesty, dedication and energy not slip your hand as the horses to that carriage you are riding may just run out of control and may shake your whole existence. I am confident that you are capable to take up challenges and you are sensible to handle situations. Wish you all the best my darling. Live your life zippy. Note : This post is written for the letter ‘Z’ of the April A to Z Challenge and that this post is a work of pure fiction. (except by me and you your dad) and each one will or in fact must have started to look upto you as an adult. You are independent and working. We have nothing to worry about for the moment. We also have agreed that unlike other Indian parents we would not pressurize you or persuade you into marriage. It is your decision. You look so confident when you move out each day for work. I am a proud mom. It feels just yesterday when you were born. All the years that have rolled by have a story to tell. These letters that I write to you are my little secret. I have read them time and again so much so that I have lost the count of number of times I have read them. There was never a preference whether we wanted a girl or a boy. Be it a girl or a boy, the child is always special to their parents. There is nothing much to tell you or talk about today. But I just wanted to revisit the memories while writing this letter to you. Whenever I think about the little you I remember all those milestones you have crossed to be this big. Some of them were tough. Tough for you and some were tough for us too. But you are a born fighter and I am confident that no matter what you will tackle any difficult situation and lead your path of glory. I wish you be the most happiest and successful person. Note : This post is written for the letter ‘Y’ of the April A to Z Challenge and that this post is a work of pure fiction. These days you are more into your own company. You don’t have much friends. But that has never stopped you from talking to people and especially me. But lately I have realised that you have stopped expressing yourself. My baby, expressing yourself positively is very important for your individuality. You are what your strengths and weaknesses are. You also are what your achievements or losses are. It is not correct to get lost in what others say about you. But it is utmost important what you think of yourself. Let no guilt get a hold on you. But instead try and apologize genuinely if you are at fault and if you are not then don’t be afraid to hold your ground. No one is perfect. You may be insecure about something. But acceptance is the key. Share whatever you have on your mind. But don’t hold back from expressing yourself. Note : This post is written for the letter ‘X’ of the April A to Z Challenge and that this post is a work of pure fiction. You are 22. There are so many things that you know and there are so many that you still need to know. Today’s plan is to talk about it. It is important to be well educated but there is one more thing that holds importance, that is, being wise. One cannot be taught to be wise but it is a skill which can come to you and further nurtured with your knowledge or having information about various things. It comes to you with a power of judgement as to what is right or wrong. It is characterised when you start taking informed decisions. Decisions when made wisely reflect on our whole existence. I wish that along with being intelligent which you undoubtedly are, you should be wise too. Note : This post is written for the letter ‘W’ of the April A to Z Challenge and that this post is a work of pure fiction. Sorry for posting this so so late.